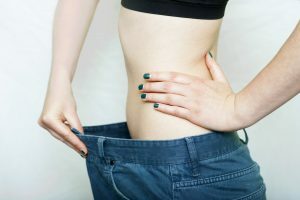 The weight loss session addresses numerous components to reduce weight and achieve your ideal weight goal. These include hypnosis, nutrition, behavior modifiers, Emotional Freedom Technique, exercise and other aspects to effectively meet your objectives. Hypnosis is used to discover the root cause of the weight issue and determine steps to resolve the tendency. Once these areas are identified, specific suggestions are given during the hypnotic process to assist you in achieving your goal. Nutritional counseling is provided to help identify foods contributing to weight gain as well as the latest information on foods that heal the body and are conducive to weight reduction. Emotional Freedom Technique is effective in reducing, neutralizing or eliminating the emotional reasons for holding onto the weight such as food cravings, stress triggers, negative self talk, or beliefs about food, weight or hereditary factors. In the interview process, a series of questions specifically addresses WHEN the overeating occurs, WHERE it occurs, and WHAT foods may be contributing to weight gain and any emotional reasons associated with the overeating habit. Once these areas are identified, specific suggestions are given during the hypnotic process to assist you in achieving your goal.